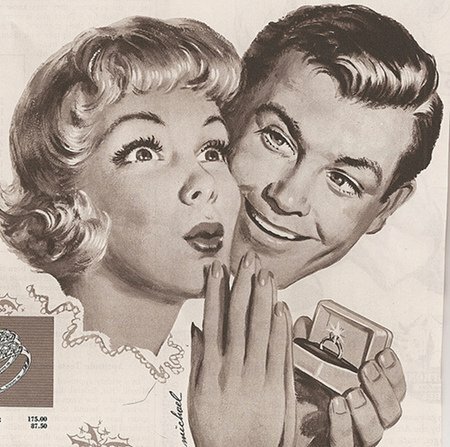 How to choose the best engagement ring: Let's make her say YES! 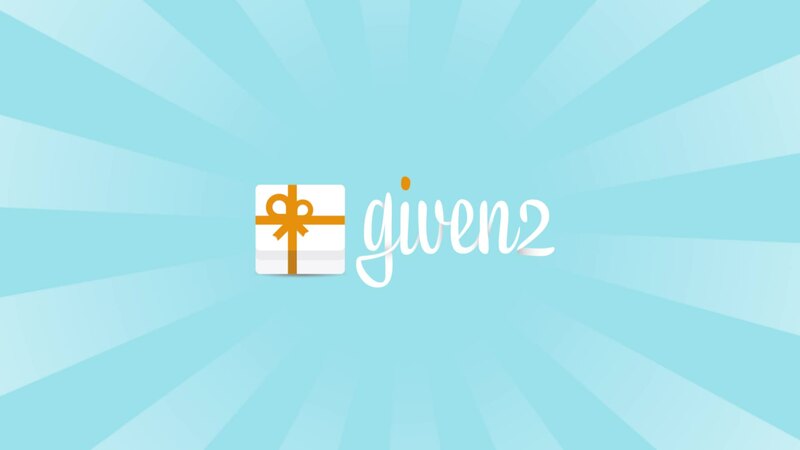 From the engagement ring choice to the wedding proposal in 7 steps! The engagement ring represents our engagement towards the marriage-to-be, and symbolizes the pledge of love between two lovers. Once you decide to ask for your partner’s hand, the countdown to the wedding proposal begins. Well, I guess you need a ring right now, am I right? Choosing an engagement ring is not that easy, and one often feels like there’s just too much choice: colors, carats, materials… I bet a poor man gets confused! Hence, the choice to write this blog post, which is all about engagement rings and how to choose the perfect one! Do not forget which finger is the right one! 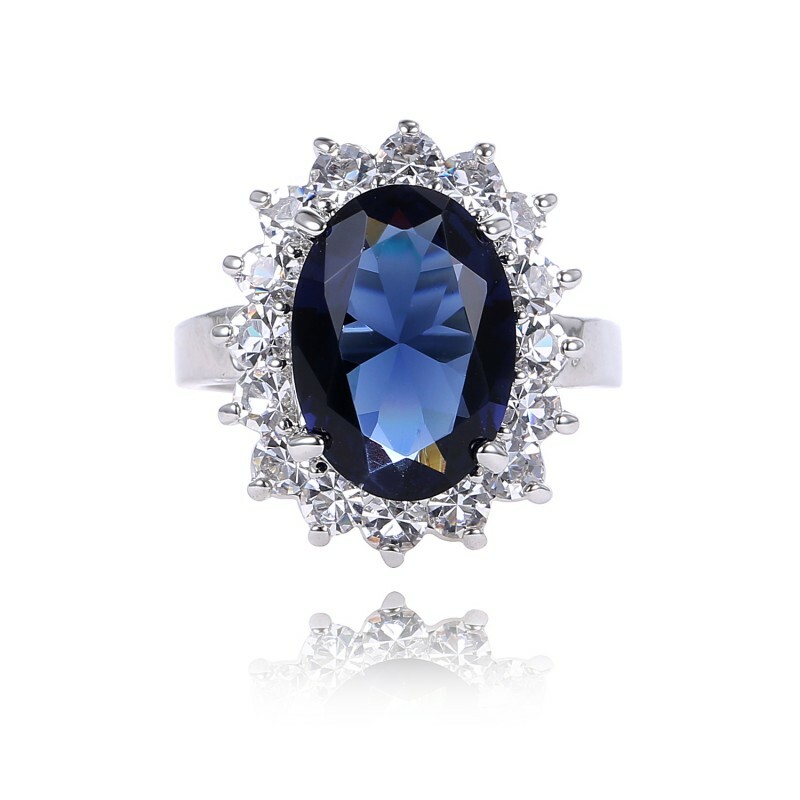 The precious stone is the main part of a perfectly respectable engagement ring. On the market there are several kinds of gemstones, each bearing a different meaning. Let’s see together which precious stones are more suitable for your girlfriend’s tastes (and for your budget, of course!). The Diamond and the 4Cs: colour, clarity, cut, carat. What do they say? Diamonds are a girl’s best friend. 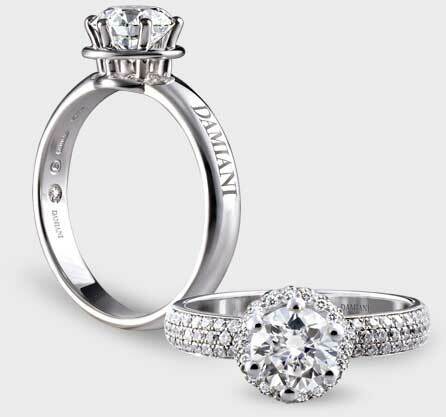 In fact, brilliants (the engagement rings made of diamonds) are the most wanted rings, according to women’s tastes. The name of this material comes from the ancient Greek’s word “adamai”, which means indomitable strength. It symbolizes stability and perfection. Curious fact: ancient Greeks and Romans thought diamonds were Gods’ tears or fragments of shooting stars. Well, isn’t it romantic? Not all diamonds are the same. Their price varies deeply depending on 4 main characteristics, which are: colour, carat, clarity and cut. The carat refers to the weight of the diamond. On average, a carat is equal to about 200 milligrams (0,000440925 pounds). The colour: diamonds are classified based on chart published by the Gemological Institute of America. Said chart goes from D (completely colourless) to Z (almost yellow). Colourless diamonds are the finest and the most expensive ones on the market. The purity refers to the number of imperfections that the stone has. In fact diamonds, being natural stones, always present a number of small imperfections, and the price varies according to their quantity and position. Consider that only a few diamonds in the world do not have any imperfection, and the are not only very rare, but also super expensive! The cut refers to the shape of the diamond in terms of “facetes” (surfaces). There are several cuts available on the market, for example the oval cut, the drop cut, the square cut, the round cut, etc. The cut also determines the diamond brightness, which is its capacity of reflecting the light. Well, yes, diamonds are a girl’s best friend, but sure they are not very wallet-friendly… If you don’t think a brilliant will fit in your budget, do not fear: there are a lot of other choices you can opt for, and they’re beautiful and classy too! Let’s see. Topaz is a quite rare gemstone, and you can find it in different colours: yellow, brown, transparent, gray, light blue, green, purple, red and pink. In ancient times, it was considered as a symbol of chastity and sincerity, and was given to brides-to-be to wish them a happy and long conjugal life. 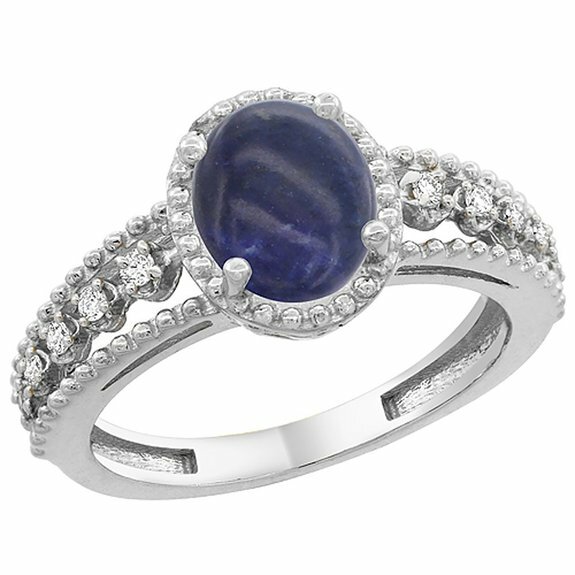 Lapis lazuli (lapis for short) is a deep blue gemstone. According to crystal therapy, it is capable of making “bad” thoughts go away, and mitigates anger. Lapis lazuli also promote honesty and wiseness, stimulate intuition, and helps taking decisions. Zephyr typically is a blue/light blue gemstone, but is also available in pink, purple, orange, yellow, green, red and black. Its name either comes from the Greek word “sappheiros” or from Latin, literally “light blue”, even if others think that it comes from the Jewish expression “sappir”, which translated means “the most beautiful thing”. Zephyrs can also be created artificially; only a microscopic examination can reveal if the precious stone under consideration is natural or has been synthetically made. Zephyr represents wiseness and gives happiness, prosperity and inner peace to those who wear it. Curious fact: prince William proposed to the beautiful Kate Middleton with a zephyr ring encircled by 14 diamond solitaries. 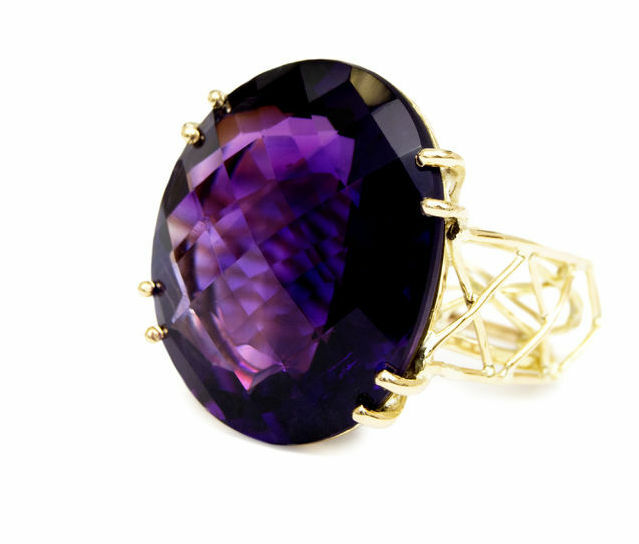 Amethyst is a violet quartz, and its name comes from the Greek word “améthystos”, which translates into “non toxic”. According to the legend, Amethyst was a wood nymph with whom the god of wine, Bacco, fell in love. The lady, trying to decline the god, asked Diana for help, and the goddess transformed her into a crystal stone. Bacco, in revenge, threw a wine cup against it, making it violet. According to crystal therapy, amethyst helps boosting self confidence, memory and self control. 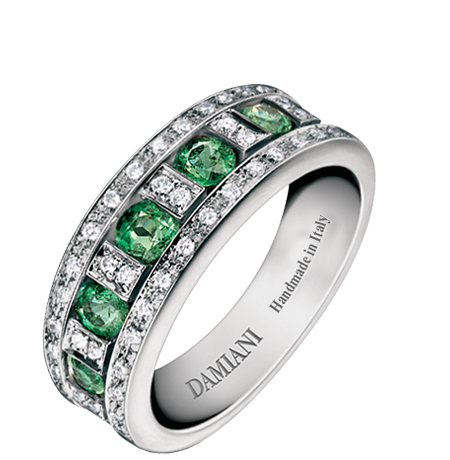 Emerald is a gemstone characterized by its deep green colour. It was very popular in ancient Egypt, where it symbolized positivity, inner rebirth and change. 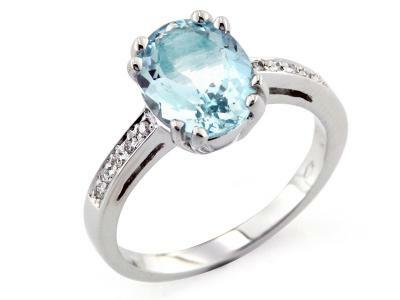 Aquamarine is a light blue gemstone. According to sailors, wanderers and a number of legends, it wishes good luck to the couples who are about to get married. According to crystal therapy, aquamarine helps decrease anger and stress, and encourages positive thoughts. It also helps you calm down and boosts your self confidence. The setting of a ring is its metal support and is conceived to host the gemstone. In the following image you find all the different types of ring settings explained. 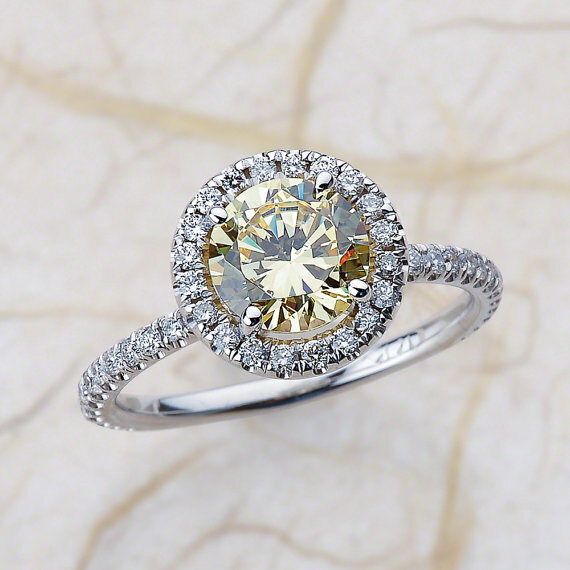 Platinum is one of the most popular choices when it comes to buy the engagement ring. It surely is the most expensive material, due to its pureness and durability. Gold is, on the other hand, the most used material. 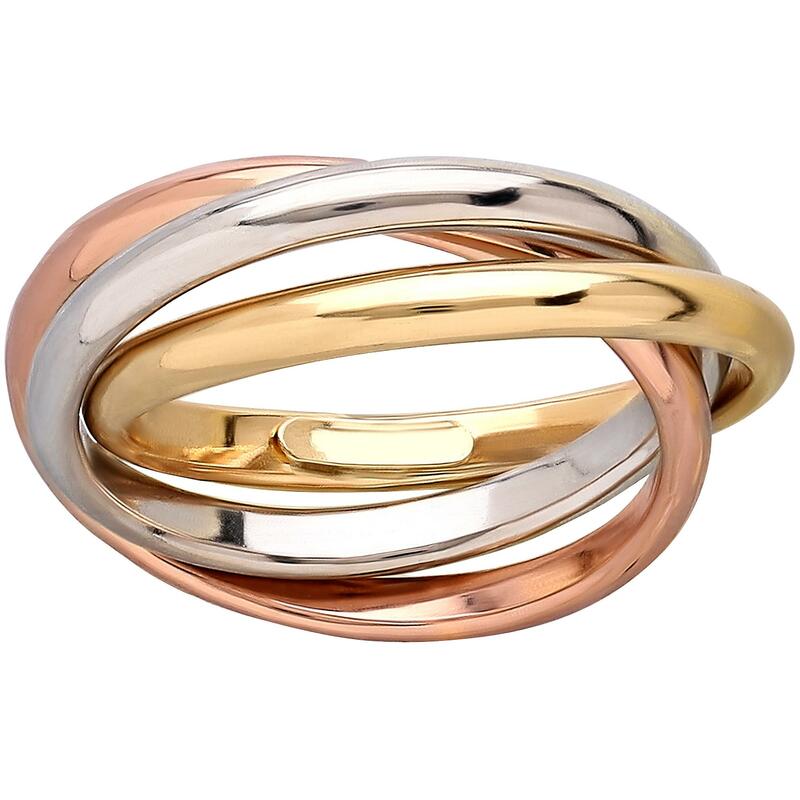 There are various types of gold: white, yellow, pink and even green. Other materials you can opt for are silver and palladium. Silver is a gray-white metal and it is very ductile; it is suitable for those who set a not-so-big budget. 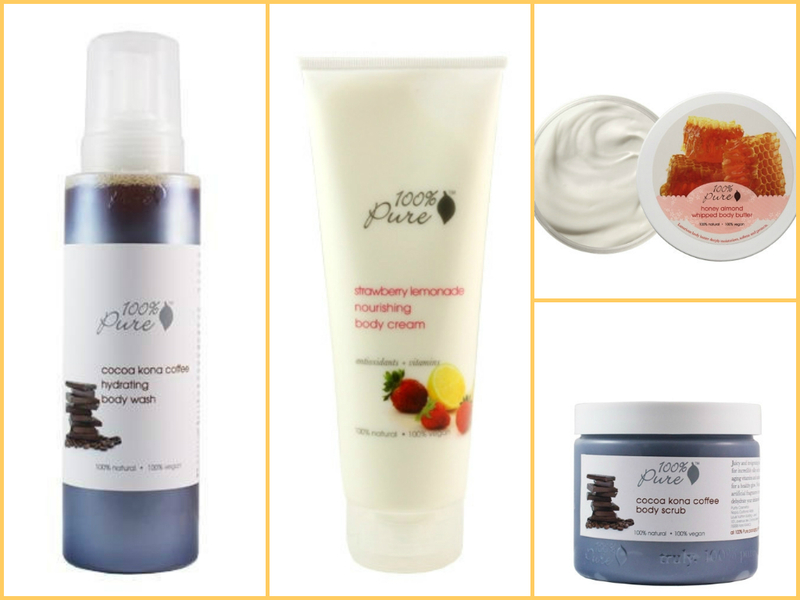 Palladium is a white/silvery metal, very hypoallergenic and suitable for sensitive skins. A very important step, to choose the perfect engagement ring and to successfully propose, is to find the right size of your girlfriend’s ring. The best thing to do is to ask her family or friends for help. Otherwise, you can temporarily “steal” a ring from her, so that the jeweler can see her finger size. In this case, make sure to take a ring she uses on her ring finger! Set your total budget before you enter into the jewelry. This will help you find the most suitable options for your wallet. If you dispose of a low budget, I suggest you choose the less expensive gemstones and materials. My advice is: don’t postpone your proposal only because you can’t afford to buy her dream engagement ring! Keep in mind that the engagement ring is just a material symbol of your love, and postponing the proposal only to buy a more expensive precious stone is not a synonym of true love! You can always give her another ring when the times and money allow, for example at your future anniversary! Not everybody knows that the engagement rings has to be put on the annular (fourth finger) of the left hand! A candlelight dinner is the evergreen to propose, however, if you really want to surprise her, try something a little more original, something special she won’t forget in the years to come! P.S. Are you going to plan your wedding? Follow our ultimate guide!